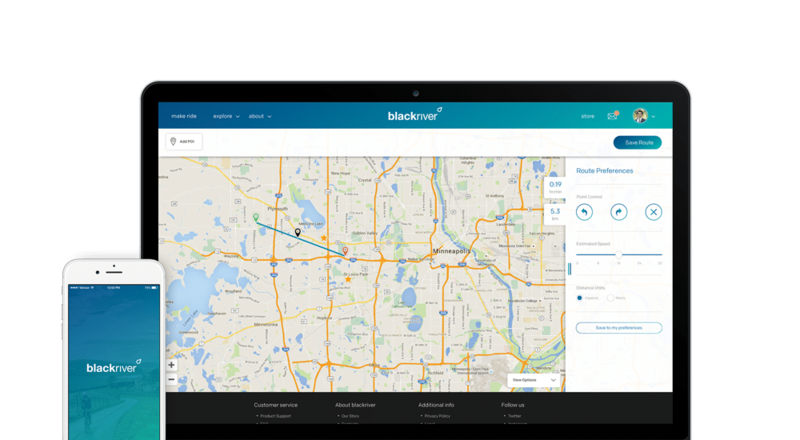 See how blackriver leveraged our dedicated team model to enhance the cycling experience with a platform to capture, track and share stories. Wearables and partner apps serving the cycling community in 2015 and 2016 could capture ride data — from average heart rate to caloric output. But, without a platform to find new routes, document rider stories and catalog memories, riders couldn’t connect and share their experiences. Bike brands and brick-and-mortar shops also sought ways to nurture more meaningful relationships beyond the point-of-purchase. 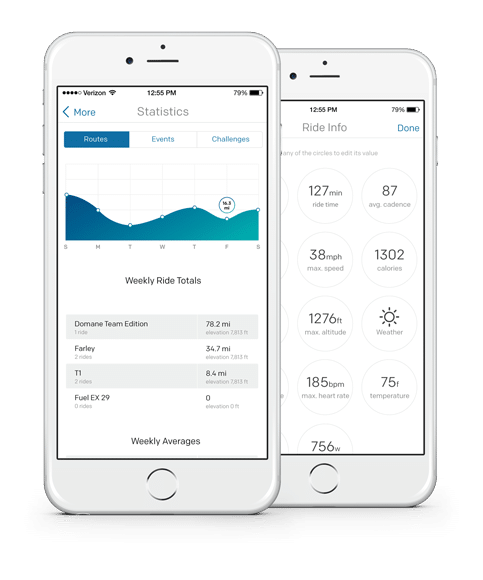 Cycling needed a tool to bring the data-driven and social elements of the cycling experience together. 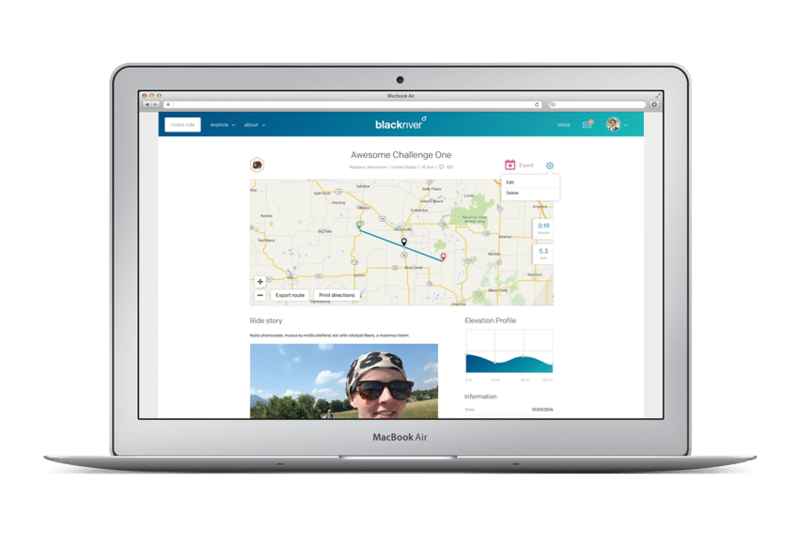 We worked with Madison, Wisconsin startup blackriver to design and develop a .NET, web-based tool and partner app to help users find, track and curate social cycling experiences. Users can search for and build routes, filtering by distance, ride category and pavement type. The app integrates Google Map Data for navigation, and the website uses Google data for route viewing and creation. While the app records planned and completed rides, blackriver is as much a place to share photos and find cycling inspiration. 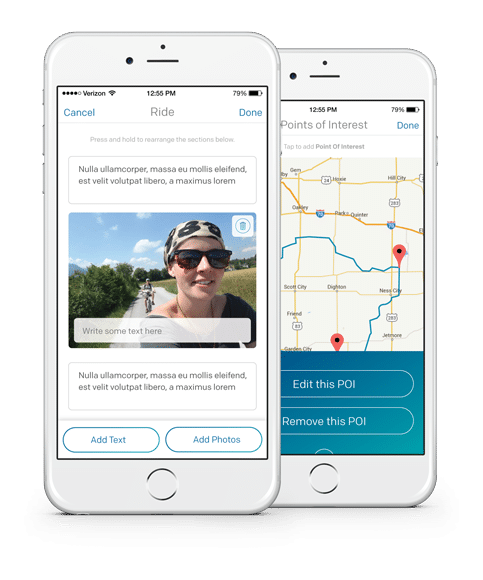 Riders can document route descriptions on maps through Point Of Interest landmarks and can describe detailed experiences for other riders in longform “Ride Stories”. By viewing a Ride Story, users can gauge the cycling opportunity and comfort with each route. 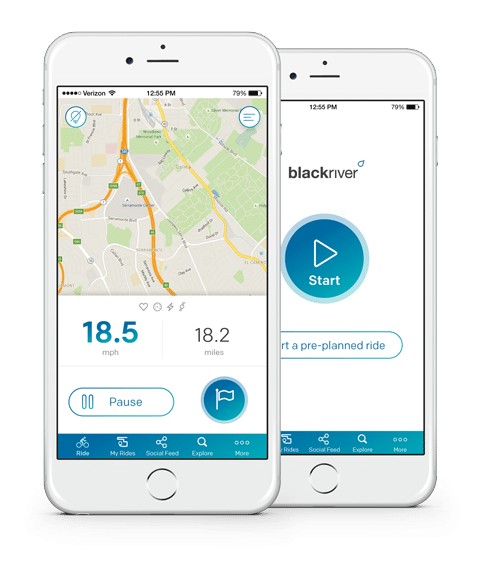 blackriver also facilitates connections between riders and the local shops they support, providing businesses a new way to engage with an interested audience by hosting challenges and adding local routes of their own. 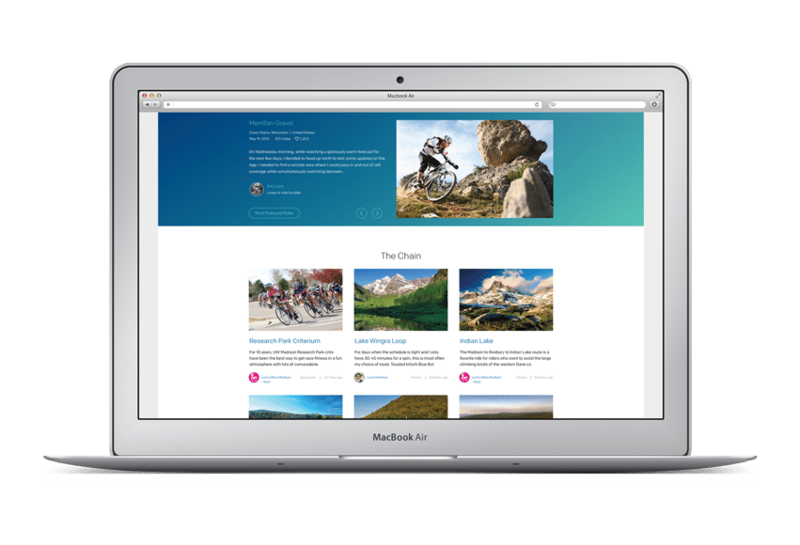 Users can follow their favorite shops and see updates posted to the built-in social network. Within the app, riders can find, routes, challenges or events by state, city and zip code and share them with friends. Seeking a more cost-effective team structure, blackriver transitioned the project to MentorMate in the beginning stages of development. With a team over 14 strong working between our United States and Bulgarian offices, blackriver could scale quickly and affordably. The blackriver team visited our technical center in Bulgaria early on to align around business goals and usability needs. We provided branding and refactoring recommendations after analyzing the legacy code. Providing a clean, simple interface was an important consideration as users may access the app during microinteractions throughout their ride. A second trip to Bulgaria provided the blackriver team the chance to test together and problem solve as the August 2016 launch deadline approached. blackriver Founder & CEO Eric Lynn estimates the MentorMate team structure and process decreased development costs by over a third.